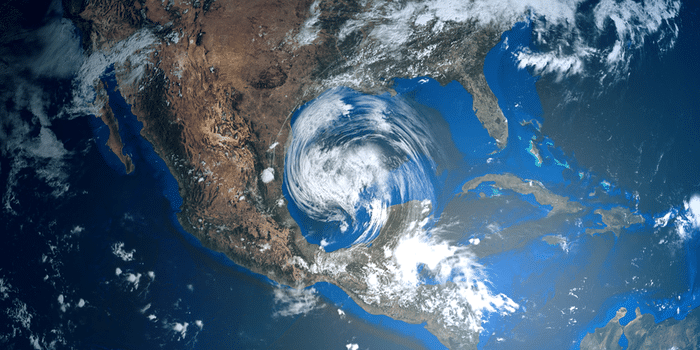 With the impacts of Hurricanes Harvey and Irma still unfolding, plus threats from additional hurricanes, how can HR help employees during a disaster like these? One of your first steps is to contact any employees who live or work in areas affected by a natural disaster. Depending on whether your employees’ cell phones are charged and functional, you may need to keep calling until you reach them and can account for their whereabouts. In the case of Hurricane Harvey, the hardest-hit areas were Corpus Christi, Rockport, and Houston in Texas and parts of Louisiana. Irma wreaked havoc in Florida, Georgia, and South Carolina. Send out a company-wide update so employees know how their coworkers are faring. If you don’t currently have an updated employee roster with various communication details, or an emergency notification plan or system, now is the time to act! Arrange for employee assistance program (EAP) representatives to be on-site to talk to employees who may be anxious about family’s, friends’, or fellow Americans’ well-being. Communicate how employees can access these services. Understandably, if employees have just lost everything, they’ll need some time off to process things and pick up the pieces. Plus, schools and daycares may be closed. Offer alternate work arrangements for affected employees. Allow an unscheduled leave of absence or leave without pay. Comply with leave arrangements as specified by your state. Note: Texas does not have any special leave arrangements. Abide by the Family and Medical Leave Act (FMLA) — Employees affected by a natural disaster are entitled to leave for a serious health condition caused by the disaster. If employees must care for a child, spouse, or parent with a serious health condition from the disaster, they may also be entitled to leave. For employees who are soldiers or involved with relief organizations, they may be entitled to leave under the Uniformed Services Employment and Reemployment Rights Act (USERRA). Activate a catastrophic PTO donation program, in which other employees can donate some of their accumulated PTO hours to coworkers in need. Keeping in mind that it can be difficult for employees affected by disasters to make headway on a limited or nonexistent income, under federal law, employers only have the following pay requirements. Pay nonexempt employees only for the hours that they work. Pay exempt employees their full salary if your worksite is closed or unable to reopen. Comply with Fair Labor Standards Act (FLSA) regulations. You may need to hire a restoration company to recover hard copy forms that were damaged during a natural disaster. Follow your state’s notification requirements and recreate documents as necessary. Naturally, having electronic forms that are stored in a cloud-based system is ideal. Employee relief funds — this is a way for companies and employees to donate money to those in need. Match employee donations if possible. American Red Cross — through the organization’s text relief program, it’s easy for individuals to donate in small amounts. Because so many people donate, it adds up quickly. Text REDCROSS to 90999 for an instant $10 donation. Diapers — This is an essential item for many, but isn’t often readily available for disaster victims. Donate online to the Texas Diaper Bank. Pet rescue — Sometimes dire circumstances force people to leave their animals behind. Rescue organizations give pets a chance. Consider donations to Austin Pets Alive! While natural disasters may be the first thing that comes to mind, there are other types of emergencies to prepare for. Test out your plan once a year, reevaluate it, and make adjustments accordingly. Use the Federal Emergency Management Agency’s (FEMA) document library to help inform your plans. In the event of a crisis, keep in mind that any of your employees can become a voice in the media or online. Be prepared to communicate quickly with employees about unfolding situations, but only say what you know to be true. Be proactive about keeping employees safe, minimizing damage to your brand, and rebuilding employees’ trust and productivity. Bottom Line: Employers are a force for positive actions and outcomes in the midst of a disaster.